It was a happy day for me the day after I graduated from makeup school when I received these two palettes. Like gifts for job well done. So, I immediately unwrapped them when I came home from work and tested them out. 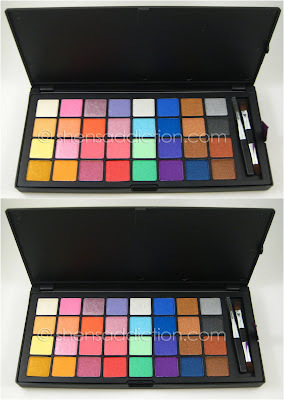 the two eyeshadow palettes together. the last one looks too red.. I'm glad I have these palettes. Not to mention that its a steal at P1250.00 each at SpacePretty Store. No matter how pigmented or long-lasting your eyeshadows may promise, i still recommend using an eyeshadow primer, like Urban Decay Primer Potion or Too Faced Shadow Insurance. This makes your eyeshadows last longer. Believe me, you don't want to end up with a rainbow eyes all messed up at the end of the day. 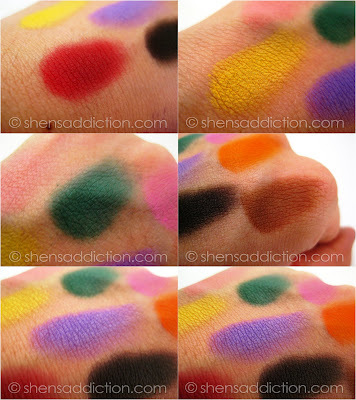 I highly suggest using a base when using panned eyeshadows, like MAC Shadestick Beige-ing, Paintpots, NYX Jumbo Pencils, Careline Colorsticks or any cream base to make blending easier. Also, the eyeshadows will have something to stick itself too. Using your thinnest eyeshadow brush. Dip the tip of your brush on to your desired color and line your upper lashline with the color you picked as you would an eyeliner. Then blend upwards to ensure all your inner lids are covered. Use more or your desired intensity. 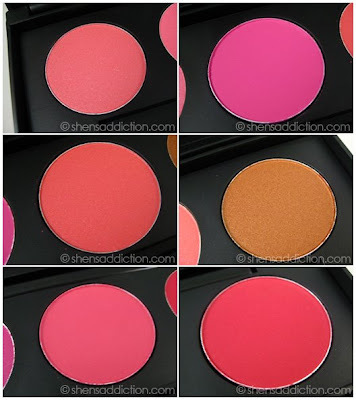 The 10pc blush set in the palettes above looks a lot like my old 10pc Blush Palette. 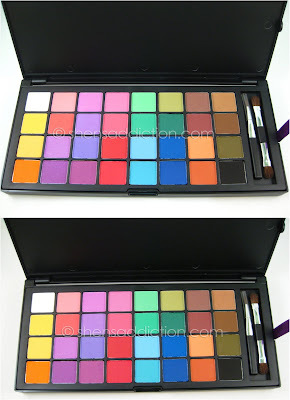 Talk about shooting two birds with one stone buying this palette. 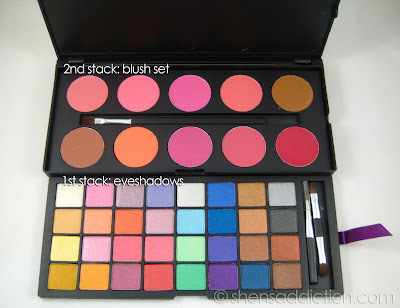 For those who are considering makeup school, these sets are very helpful for your classes. For those who loves makeups but has little budget for different colors of eyeshadows and/or shades for blushes but still want quality makeups (its not UP there but will do nicely) then this is for you. 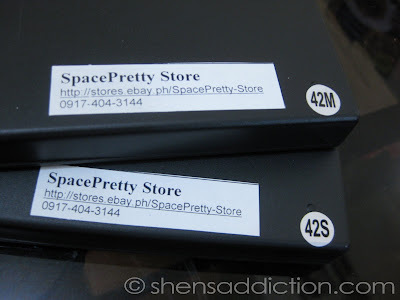 Palettes featured are available at SpacePretty-Store for only P1250.00 each. 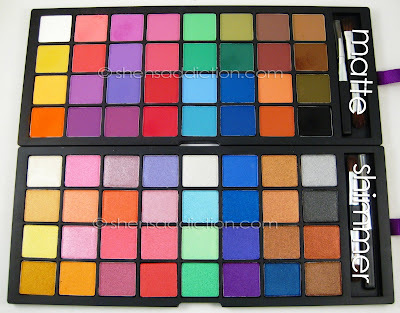 which of these two palettes did you like more? 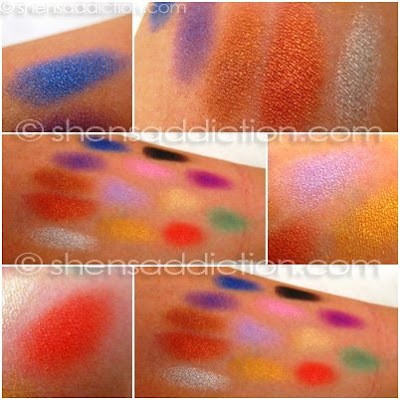 some people says that matte eyeshadow are hard to blend, but i think that the matte color are intersting. do you think that the shimmer palette has too mach glitter? can be used in every day, it's usable in office?